Ideal for tight spotsDesigned for high speed porting and finishing of small partsSpecifications:Collet size: 1/8"Free speed: 56,000 rpmOverall length: 5"Net weight: 3/4 lbs./.32kgAir inlet thread NPT: 1/4"Air hose I.D. 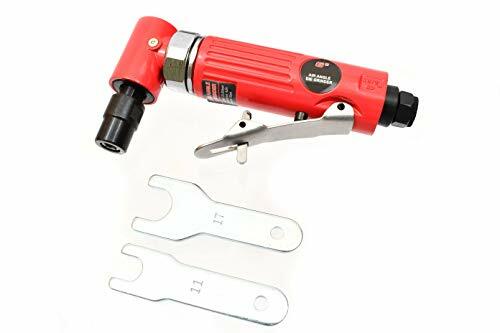 size: 3/8"Average air consumption: 7 cfmAir pressure: 90-120psiAstro Pneumatic 218 Pencil Type Air Die Grinder 1/8"
Ingersoll Rand 3107G heavy-duty air die grinder. The 3107G heavy-duty air die grinder is great for cutting, grinding, polishing, and more (click to enlarge). 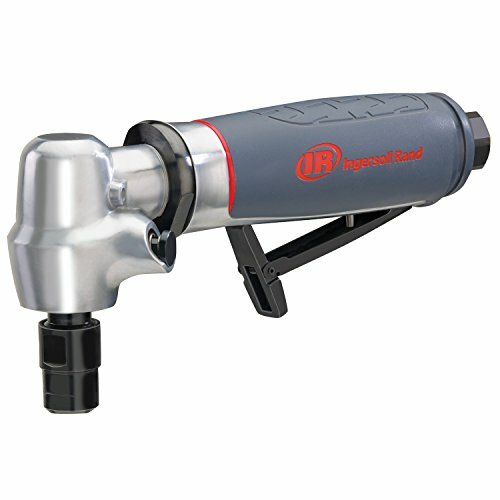 Lightweight, durable, and maneuverable, the Ingersoll Rand 308B Air Straight Die Grinder offers powerful performance. 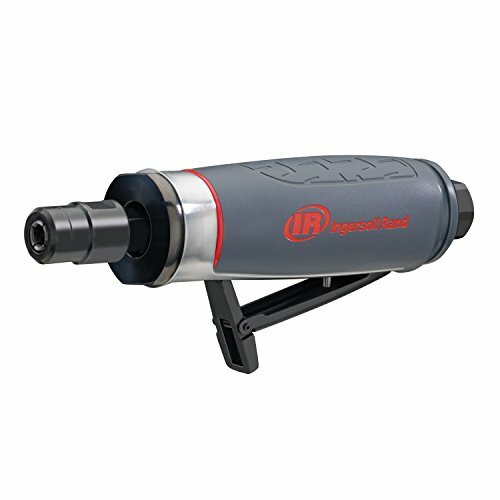 With a comfortable composite grip, this air grinder is ideal for a variety of applications, including porting, weld breaking, de-burring, polishing, and grinding. The 308B has a 0.33 hp motor that delivers a free speed of 25,000 rpm. Great for porting, weld breaking, de-burring, polishing, and grinding (view larger). The 308B's durable ball-bearing construction improves balance, reduces vibration, and ensures a longer life. The lightweight, ergonomic composite housing protects the tool from cold air and offers greater operator comfort, and an integral safety-lock throttle lever prevents accidental start-up. A rear exhaust directs air away from the operator, and an optional piped-away exhaust kit is available. About Ingersoll Rand Ingersoll Rand designs, builds, and delivers an unrivaled assortment of hard-working products and solutions. 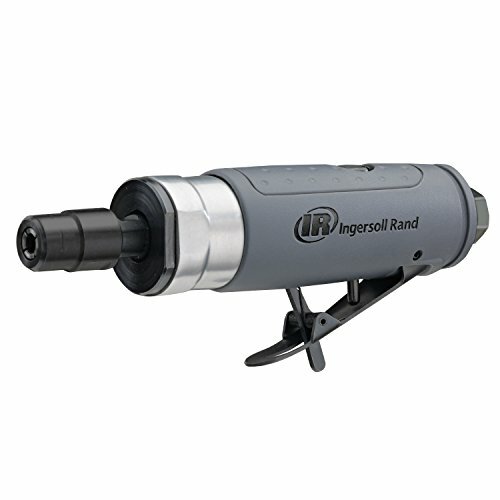 Ingersoll Rand is a multi-billion dollar global company that has built a reputation for keeping its customers up and running for over a century. From our complete compressed air systems, to our tools, pumps, material handling systems and comprehensive services, Ingersoll Rand offers the depth of knowledge, expertise, and experience to provide the best solution to meet your needs. 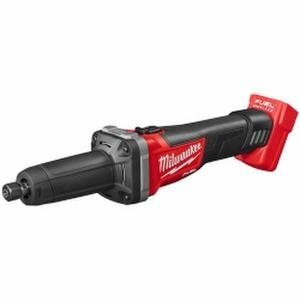 1/4-Inch Mini Air Die Grinder with Rear exhaust, Free speed of 24,000rpm, and 90 psi air pressure: 90 psi. 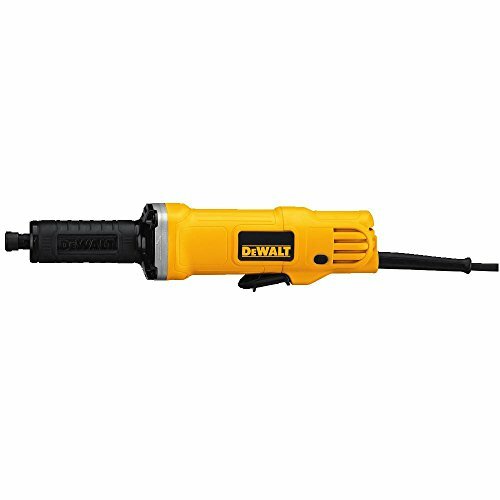 The DEWALT DCG426B 20V MAX* Cordless Die Grinder offers a longer motor life and requires no brush changes. Its variable-speed rocker switch gives you the control to get the speed you need for the job. And, with its dual-position rocker switch, you can choose from multiple ways to grasp the handle. Bare tool; battery sold separately. Makita's 1/4-Inch Die Grinder (model GD0601) combines power and speed with motor-protection features for improved grinding performance. The GD0601 is engineered with a powerful AC/DC motor with 25,000 rpm in a slim body design, and a conveniently located slide-switch for on/off function. This combination of power and ease-of-use features makes the GD0601 ideal for a range of grinding tasks. Makita GD0601 1/4-inch Die Grinder includes: 1/4-inch collet cone and wrenches. 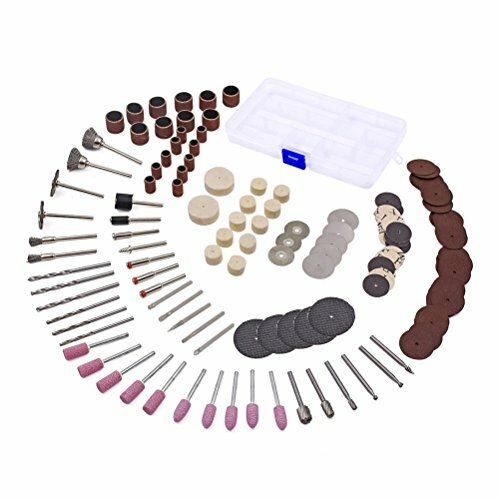 GOXAWEE Tool - 141Pcs Comprehensive Rotary Tool Accessories Kit, Ideal for just about all jobs that require precision, literally a unique tool for every job imaginable. Great Tool for DIY Enthusiasts: High working performance, professional for home handicraft & DIY Use. Make the job easier, more efficient, easy to use, safe and reliable. Wool Felt Wheel: Ideal for polishing and buffing on plastics, metals, jewelry and other small parts. Mandrel: for felt polishing wheel, cutting wheel, and other discs. An Ideal Start-Up Kit: Offering the breadth of accessories helpful for wide assortment of tasks. Wire-bristled brushes is great for paint stripping, rust removal. Grinding bits works perfect for sharpening knives or trimming dog toe nails. Felt wheel, spindle sanding bands & discs provide fine detail work on jade, ceramic, glass, wood, metal etc. Special Cutting Discs: Besides the resin cut-off discs, we thoughtfully put in mini HSS cutting disc for metal products (cutting/sharpening). And the additional diamond-coated cutting disc is especially for glass, ceramic, floor tile. Note: Please get the diamond disc wet when use it so as to longer its working life. Universal Compatibility: 3mm (1/8) shanks Compatible with GOXAWEE rotary tools, die grinders, flexible shafts, as well as any other most rotary type tools that accepts bits with 1/8 inch diameter shanks. It's a helpful tool accessories in life for home improvement, repairmant, hobby, craft and DIY handmade projects. 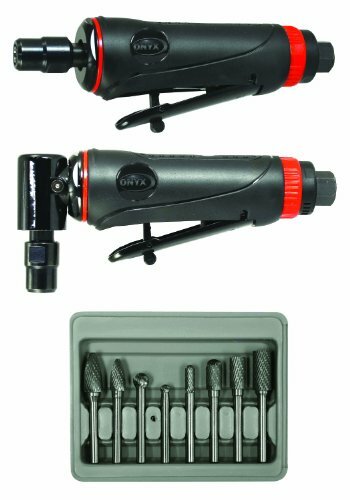 Astro Pneumatic's 219 ONYX 3pc Die Grinder Kit includes the 1/4-Inch 90-Degree Angle Die Grinder, 1/4-Inch Mini Die Grinder and an 8pc. Double Cut Carbide Rotary Burr Set. Features of this set includes a lever throttle for feathering control, a rib textured handle which provides a firm grip and a rear exhaust air flow system that directs air away from work surface. Additionally the increased motor size provides more power to make completion of work that much easier. Blue Composite body 1/4" Angle Die Grinder, front exhaust Blue Composite body 1/4" Mini Die Grinder, front exhaust 8 piece double cut carbide rotary burr set, 1/4" shank Grinders have composite handles that reduce vibration; with rib texture that provides a firm grip Grinders have lever throttle for feathering control and built in regulators 8 piece burr set includes sizes: SA-5: Cylindrical shape 1/2" x 1"; SA-3: Cylindrical shape 3/8" x 3/4"; SC-3: Cylindrical radius end 3/8" x 3/4"; SC-1: Cylindrical radius end 1/4" x 5/8"; SD-1: Ball Shape 1/4"; SD-3: Ball Shape 3/8"; SF-3: Tree shaped radius end 3/8" x 3/4"; SF-5: Tree Shaped radius end 1/2" x 1". 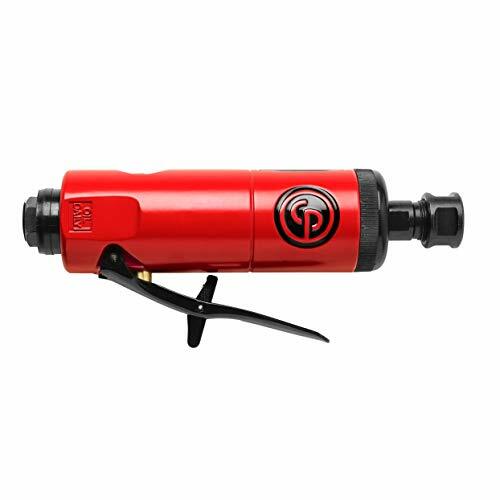 PowRyte 1/4-inch Compact Straight Air Die Grinder is perfect for grinding, polishing, de-burring and smoothing sharp edges, engraving, and general shaping of parts. It delivers 25,000 RPM free speed @90PSI for the toughest jobs. Strong aluminum housing withstands tough operating conditions, and its compact design offers exceptional maneuverability and accessibility for difficult-to-reach spots. Precision bearings reduce vibration and spindle run-out. Built-in silencing reduces noise level. This grinder has a touch control trigger for easy user control. It offers rear air exhaust to direct away from the tool. With its double ball bearing construction, this die grinder very heavy duty and reliable. 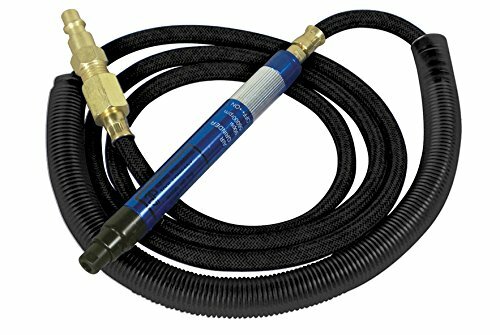 Recommended hose size 3/8 in. Shop now with PowRyte and you will never worry about overpaying anything. Specifically designed for entry level DIY workers, PowRyte Basic tools maximizes your saving by delivering quality tools with the LOWEST PRICES throughout the market. Paddle throttle lever provides smooth control with less hand fatigue. 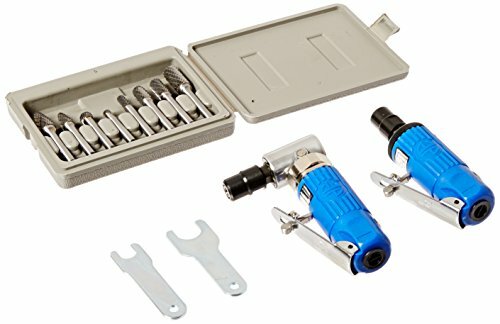 The Sunex SX264K 1/4 Mini Air Die Grinder Kit has everything you need to precisely grind various materials. 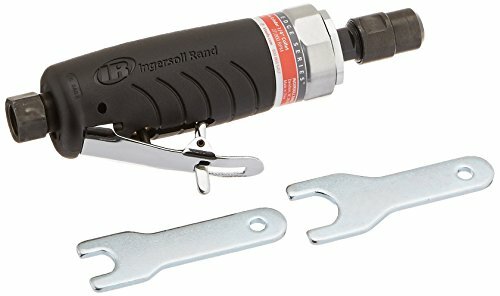 The Right Angle Air Die Grinder is designed with a built-in speed regulator, a safety throttle lever, and ball bearing construction for better control and longer tool life. BUILT-IN SPEED REGULATOR: Regulated speed for better control. SAFETY THROTTLE LEVER: Maintain positive speed control. BALL BEARING CONSTRUCTION: Allows for a longer tool life. STORAGE CASE INCLUDED: Comes with a convenient, blow molded storage case. 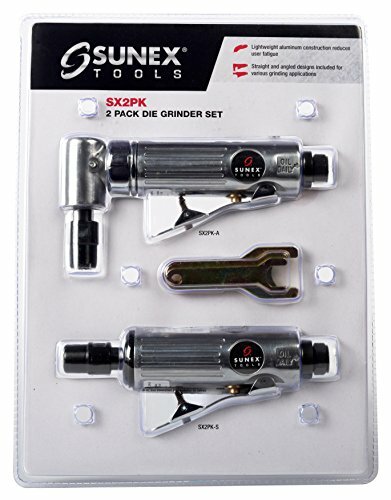 Sunex's die grinder 2-pack set includes both 1/4-inch straight and 1/4-inch angled die grinders. Sunex tools are built to last. 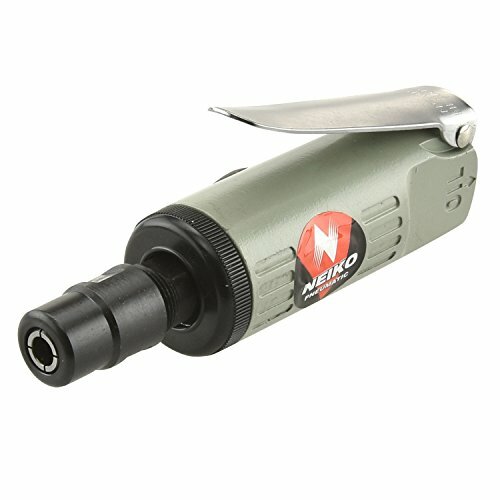 1/4-Inch Air Angle Die Grinder with angle-head design. With standard 1/4-inch collet, it accepts all of your favorite grinding stones and rotary files. 20,000 RPM free-speed with only 4 CFM air consumption. 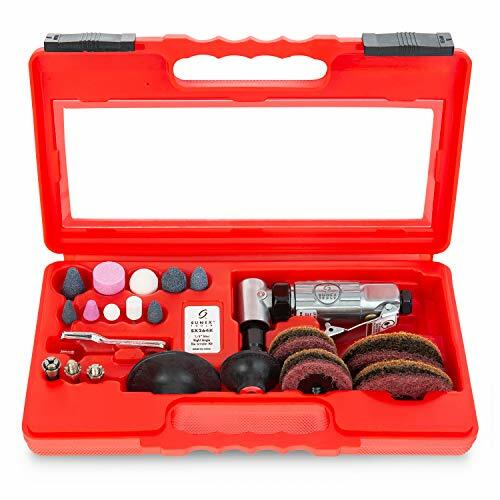 Valianto offers superior quality and dependable tools to every do-it-yourself consumers, whether you are a classic car enthusiast or a DIY homeowner. From Pneumatic tools, Power tools, to Hand tools, Valianto always committed to providing professional-level quality at a fair and affordable price. Valianto Tools bring you the best level of fun and adventure with well-made and durable products. 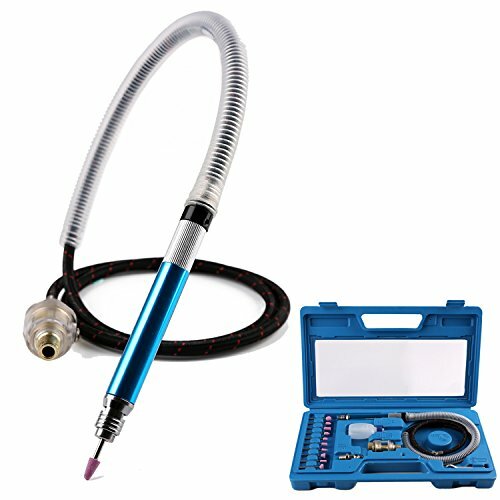 Working -----58000 RPM Free Speed-----90PSI Air Pressure-----High-speed pencil type grinder, can adapt to high speed precision machining Sophisticated interior design, easy use and durable. 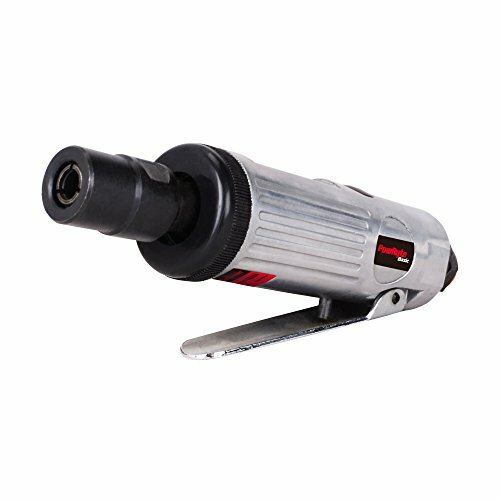 Speed Control -----Pencil Type Micro Air Die Grinder features a variable speed throttle control. Hose Protector -----Convenient hose with hose protector. Rear exhaust to prevent the chip flying anti-chip scattering and reduce noise. 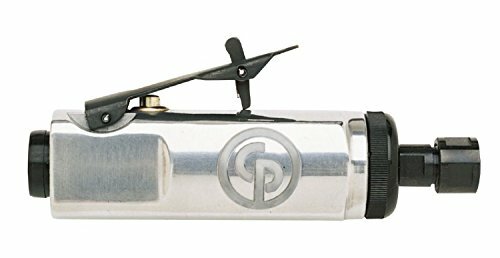 CP Classic Tool- Now comes with 2 year warranty!